Pierate - Pie Reviews: Birmingham Pie Night celebrated at Pieminister! For those who missed the news, on Day Two of British Pie Week the Pierateers rummaged and pillaged the pies at Pieminister Birmingham as we hosted a Pierateer Takeover! You can read more about the plans we had in our preview article but from 5:30-7:30pm on Tuesday 6th March, Pierateer Rob and friends of the Pierateers enjoyed eating and rating some delicious pies! 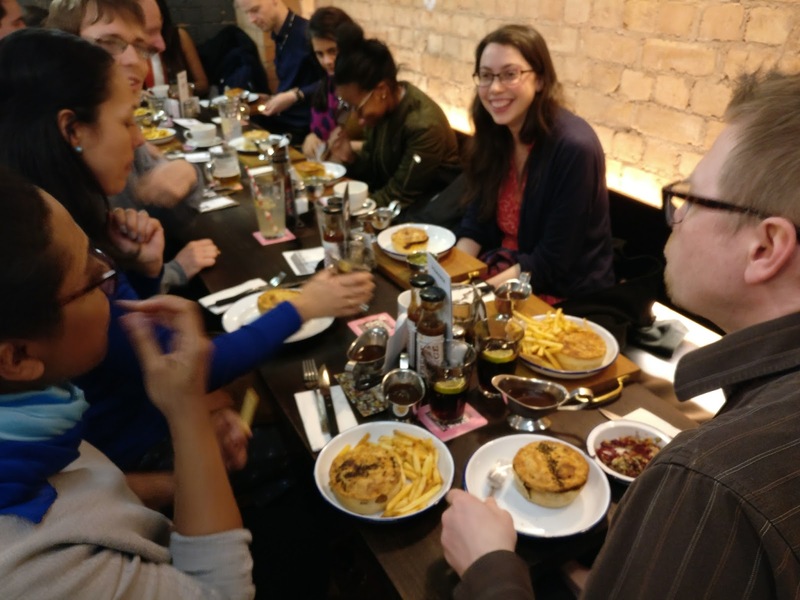 This year Pieminister decided to do a special offer each day of British Pie Week and it was a veggie pie-motion on the Tuesday - whereby meat free pies were only £2 when you bought a side. 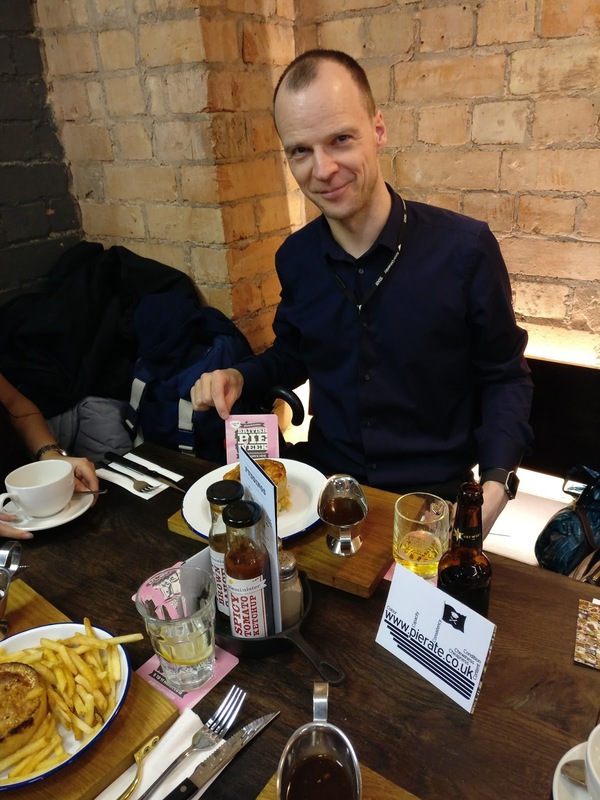 Lots of Pierateer Rob's friends chose a meat free pie, including their new vegan pie "Kevin" - but even a cheaper pie couldn't stop Pierateer Rob going for the meaty Moodog Pie! 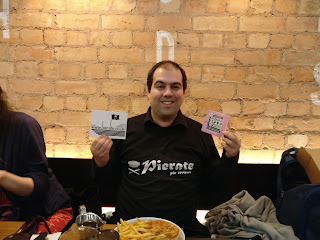 Here's what he thought, followed by a number of pie ratings from the guests at the Birmingham Pie Night! 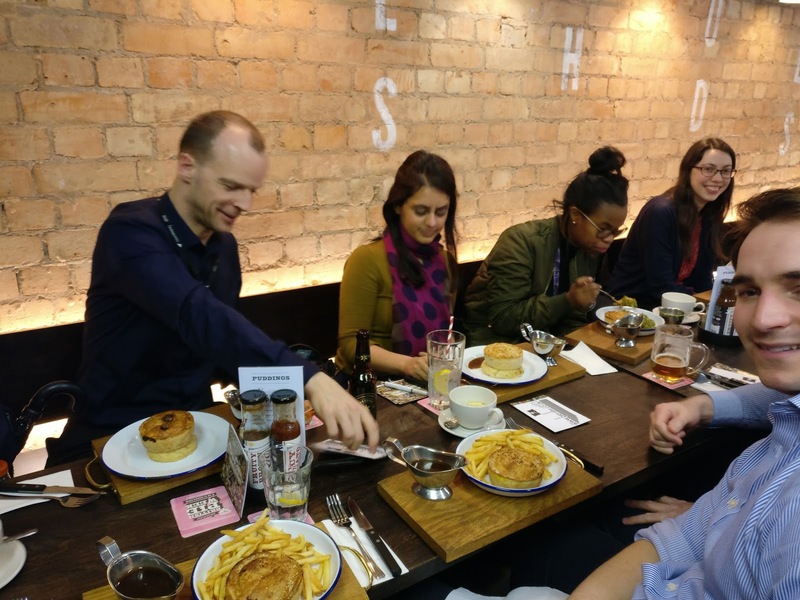 Thanks to Pieminister Birmingham for hosting our Pierateer Takeover and we hope to organise another next British Pie Week! As you can see from the scores, everyone thought the pies were Pierate Recommended or better (5/7 or above) so I'm sure there will be plenty of guests again next British Pie Week! !